Henry Saurian AI Programmer wrote: In this video you can see the process of some Triceratops, a male and 3 females, perceiving each other and settling on a leader for their group. The little blue vertical line going up into the sky from the Triceratops' torso shows who the leader is; the one it settles on here is a male due to the settings I specified. Then you see them moving around a little bit before heading off in the same direction. This is an attempt on the part of the Triceratops to avoid running into each other as they move -- something that we take for granted with our own intelligence, but which is actually a tricky problem to solve for AI. at a certain point in the video, I drag one of the females away from the group, and you immediately see it change its target from the water to the herd leader and try to return to the group. This is one of the more trivial behaviours that a follower might do in response to their leader or group, but it demonstrates that the social structure is in place. 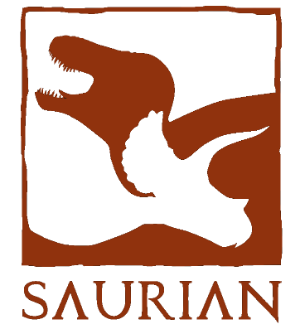 There is still tons of fleshing out left to be done for social group dynamics in Saurian, and I wouldn’t say it’s anywhere near done, this is a solid foundation to build from.